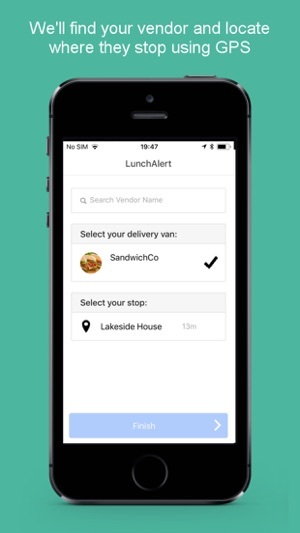 LunchAlert the app letting you know when your lunch sandwich van has arrived. 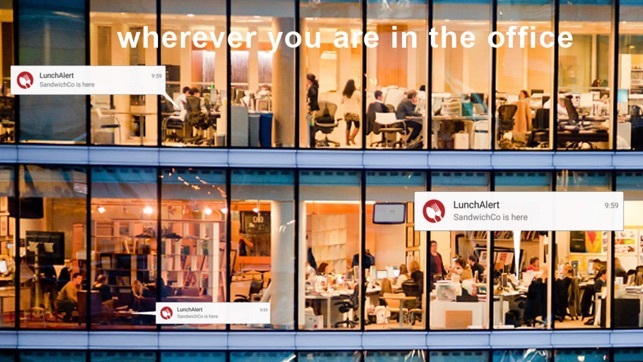 • No more missing lunch or making the mad embarrassing dash down the office. 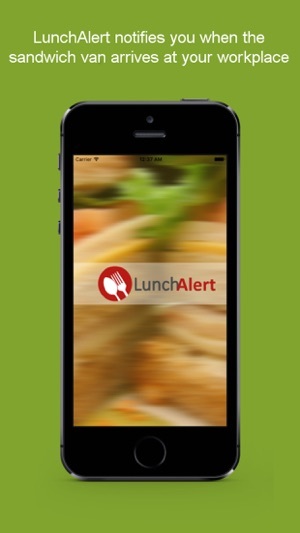 • No more relying on your receptionist to pass the message on to you. • No more missing the sandwich van because you haven't heard him beep the horn. 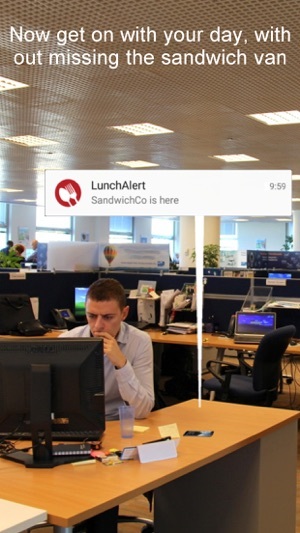 Once installed LunchAlert runs invisibly in the background. 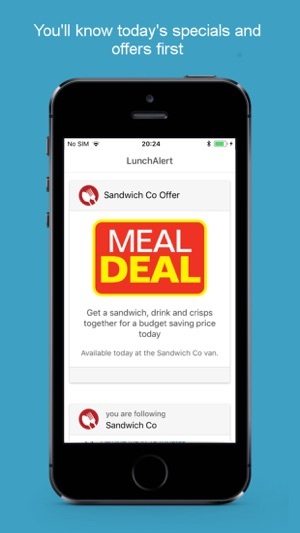 Using only the existing core phone operation so easy on you precious mobile battery, alerting you when the sandwich van has arrived. 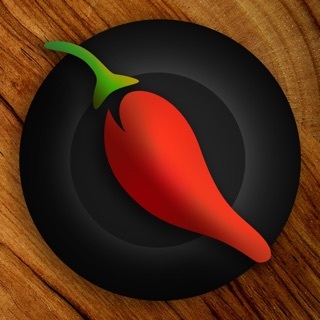 Improved signup process and also fixed memory issues.